BlueBay Villas Doradas offers Dominican Republic destination weddings in its secluded (but easy to reach!) location. 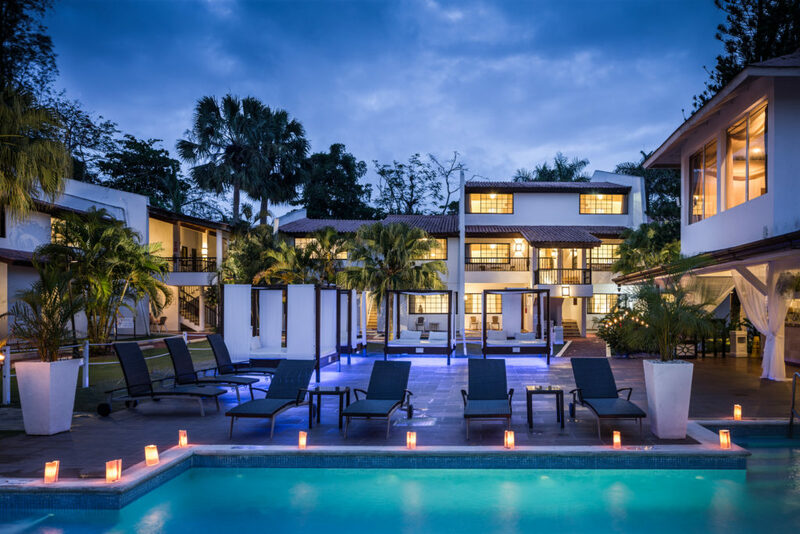 Placed in Puerto Plata, Dominican Republic, this adults-only property offers jaw-dropping amenities for destination wedding and honeymoon couples! 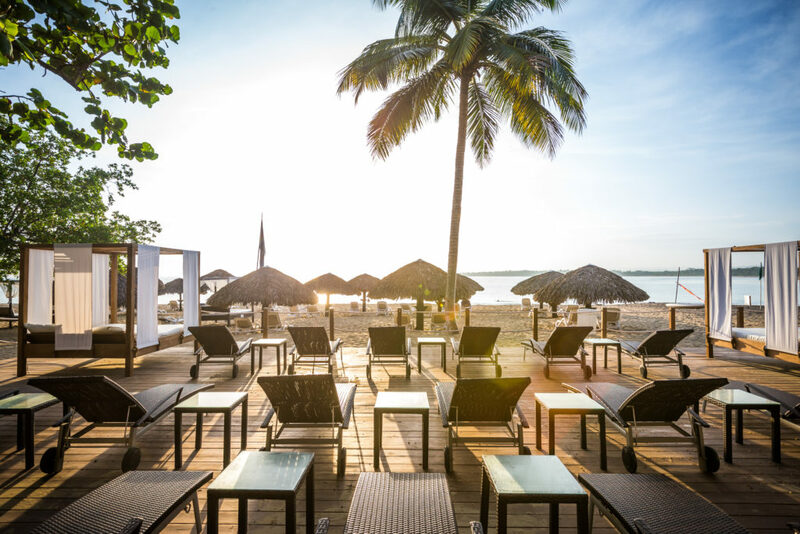 This beautiful resorts offers a world class spa, 24 hour room service, With 245 rooms fronting the white sands of Playa Dorada, this all-inclusive property offers plenty of opportunities to exercise. Go windsurfing, sailing, snorkeling, or kayaking, or take an aerobics class at the Aqua Gym! Golf lovers will love to play a round at the Playa Dorada golf course. There’s something for everyone to enjoy! Rooms range from standard rooms to suites and each offers expansive amenities. You can expect air conditioning, TV with cable service, electronic safe, and coffee/tea service with fridge and mini bar upon your arrival! Plus-level rooms feature a balcony or terrace. Treat yourself to a suite and enjoy perks like concierge service, VIP beach access, and a ton of personal attention. What more could you want? 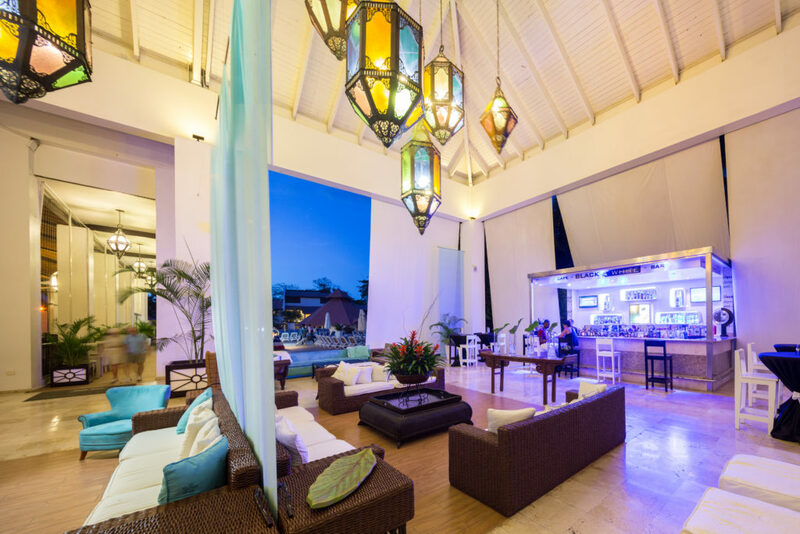 The resort offers many restaurants and bars for your dining and entertainment pleasure. Restaurants include Las Garzas which offers international foods in a buffet format. Las Garzas is perfect for groups or couples who’d like a little bit more relaxed environment and plenty of food choices. For something a little more specific, head over to one of the Oriental fusion, grilled meats, or seafood a la carte-style restaurants. Stay hydrated at The Black & White bar, which offers a more formal atmosphere after dark. 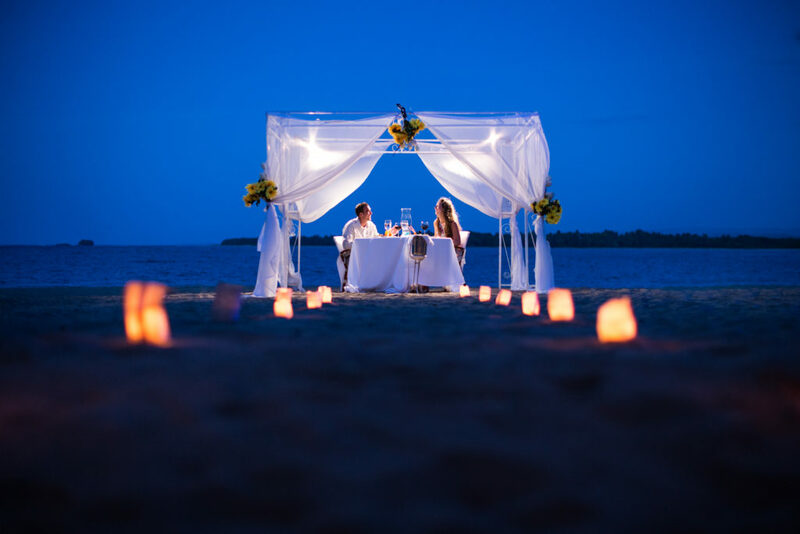 From a gorgeous location to luxury rooms, BlueBay Villas Doradas offers couples the perfect backdrop to marry, honeymoon, and continue the romance for decades to come. 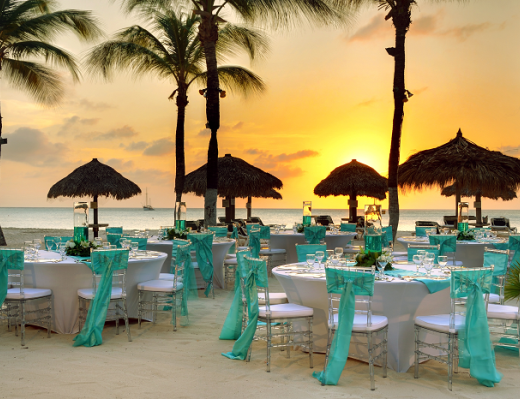 Your easy, affordable, and luxurious Dominican Republic wedding packages await! Expect the highest attention to detail – from the perfect table settings and music, to options that allow you to personalize your wedding. 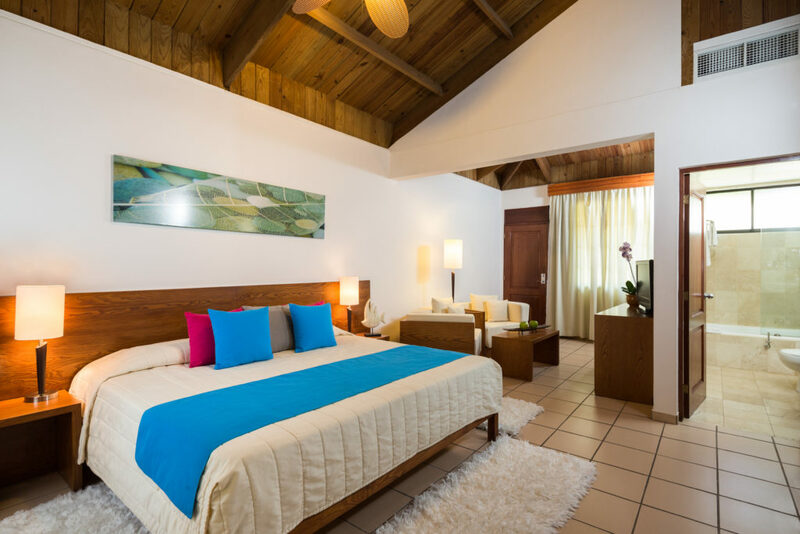 BlueBay Villas Doradas offers an idyllic destination that blends tropical atmosphere with privacy, tranquility, and luxury. 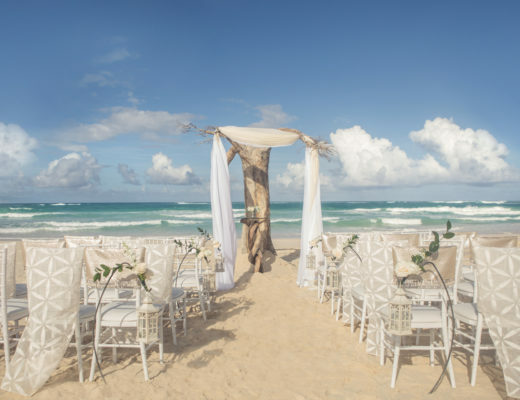 Everything you need for planning a destination wedding in the Dominican Republic is here! 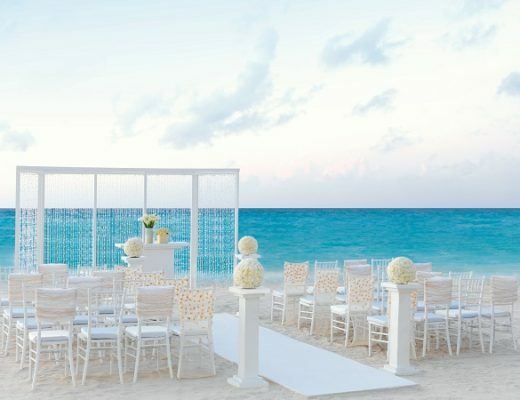 For more destination wedding inspiration, visit our website & Pinterest!